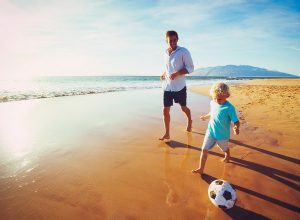 Child Custody Category Archives — New Jersey Divorce Lawyer Blog Published by New Jersey Divorce Lawyers — Aretsky Law Group, P.C. A recent case brought before the Ocean County Superior Court demonstrates the importance of communication and cooperation in co-parenting. The case involved the divorced parents of a 16-year-old boy who injured his arm and elbow in a sports accident. The father allegedly scheduled the child’s surgery without obtaining his ex-wife’s prior consent. She wanted and was granted the right to consult another surgeon and get a second opinion. Both parents believed their chosen surgeon was best, and neither would give in. The father filed an emergency application for sole legal custody, maintaining that the boy’s mother was holding up the child’s treatment. Because the couple was unable to reach an amicable agreement, the boy’s injuries were not being addressed. Some Marital Settlement Agreements in divorce contain parental relocation provisions when there are children and child custody issues involved. Unless there is an inclusion about non-relocation or a specific exception referring to the reason the custodial parent wants to move out of New Jersey, a change in the divorce agreement may be needed. Of course, if the other parent agrees, then there is no problem. However, if the other parent does not consent to the relocation, a change in the agreement may need to be negotiated or the party wanting to relocate out of the state may have to obtain a court order allowing the provision to be ignored. Recently, the Appellate Division of the Superior Court of New Jersey addressed such a situation in a divorce case referenced as Bisbing v. Bisbing. Thanksgiving is a time for sharing! But you didn’t think you would be sharing your child! 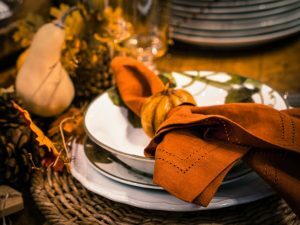 Today an important element of our Thanksgiving celebrations is the cooking and sharing of traditional meals with family and friends as well as showing generosity to those less fortunate. Yes, sharing is an integral aspect of the holiday, but you never counted on having to share your child! On September 15, 2016, Angelina Jolie and Brad Pitt separated. Jolie filed for divorce two days later. 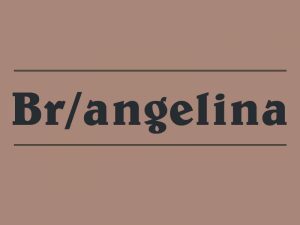 The famous couple, called “Brangelina” by their fans, had been together since 2004 and married in 2014. Jolie’s spokespersons have said that she is doing it for the “health of her family.” She has asked that she and her family be afforded privacy. Will You Be Spending Time with Your Grandchildren on Grandparents’ Day? Grandparents’ Day falls on September 11th this year. Since 1979, the Sunday following Labor Day has been proclaimed Grandparents’ Day by every President of the United States beginning with President Jimmy Carter. While a happy day for most, Grandparents’ Day can be difficult for those who are denied the right to visit their grandchildren regularly. 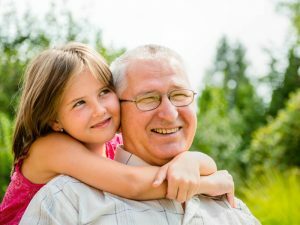 In New Jersey grandparents may ask the court to grant them visitation rights if the grandchild’s custodial parent is against it. The marital status of the child’s parents does not matter, but you may not apply for visitation rights if the child has been placed into adoption by anyone other than a stepparent. A custodial parent in New Jersey who wants to move to another state without the consent of the other parent must obtain a court order. In order to obtain that court order, the party wishing to move has to show that the request is being made “in good faith” and that the move will not harm the child in any way. We have a mobile society, and after separation or divorce, it is not uncommon for one of the spouses to move out of state. If either of them later decides to file for divorce or to request a modification in a divorce, then residing in two different states—or even different countries—makes it a little more complicated. The first step is deciding where to file. It is imperative to file in a state that will have jurisdiction over your case. The most important factor is residency. What if you want to serve divorce papers or file a request for modification of a divorce in New Jersey, but your spouse does not live in the state? On June 19, 2016, Father’s Day will be celebrated by fathers throughout New Jersey. Most divorce agreements state that Father’s Day will be included in the father’s parenting time. For many divorced dads, however, this will be a bittersweet day. As much as they enjoy spending the day with their children, they are saddened that their time together is limited. For many years mothers were routinely awarded sole residential custody of their children except in extreme situations, such as violence or abuse. Recently, however, New Jersey courts have begun to consider fathers’ rights to be on a par with mothers’ rights. More and more frequently they have ruled in favor of joint residential custody when requested by the father.